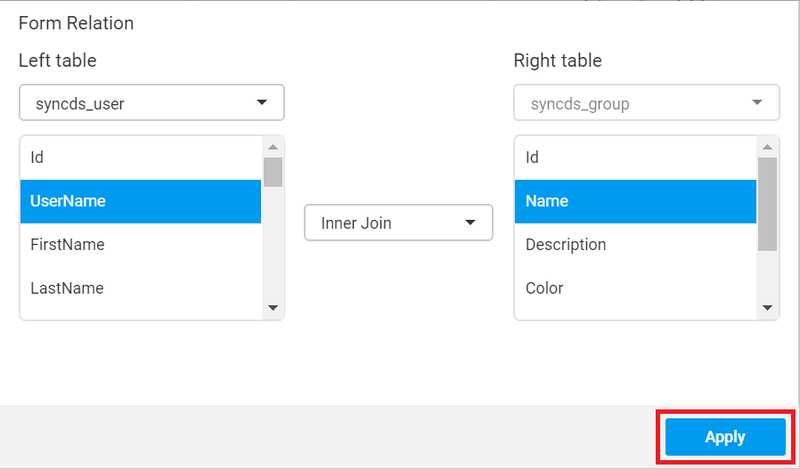 This section explains how to configure Database Settings with the Syncfusion Dashboard Cloud. 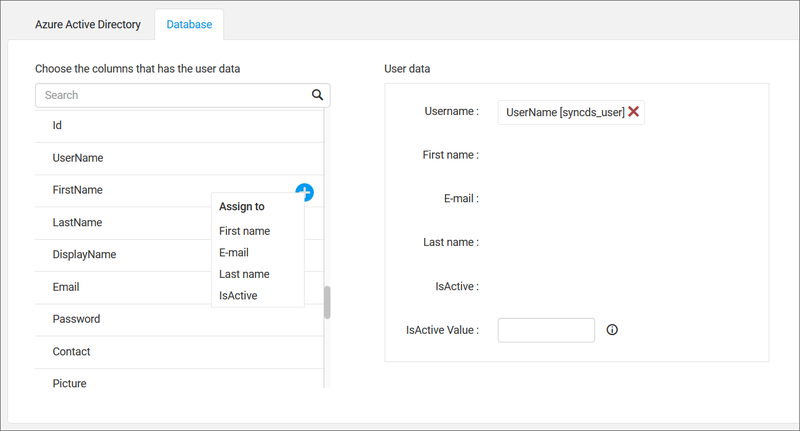 To import users into Syncfusion Dashboard Cloud from Existing Database configure the existing database details in database settings page in the administration page of Syncfusion Dashboard Cloud. Users can be imported from below types of Databases. 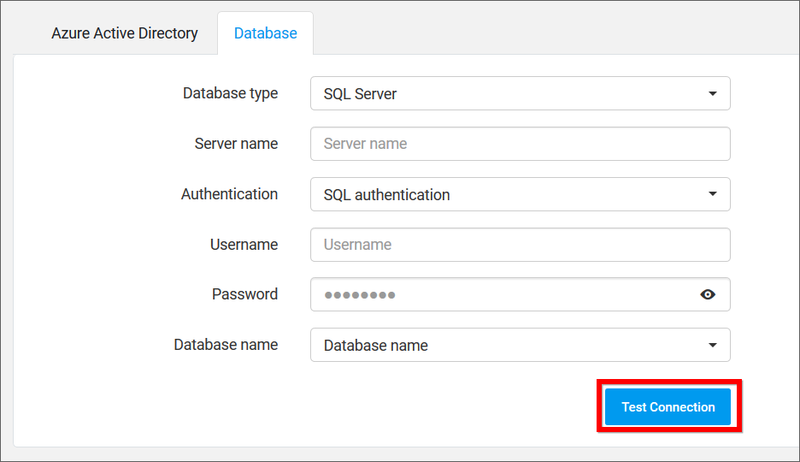 To select the database type from which the users to be imported, click on Database type dropdown. 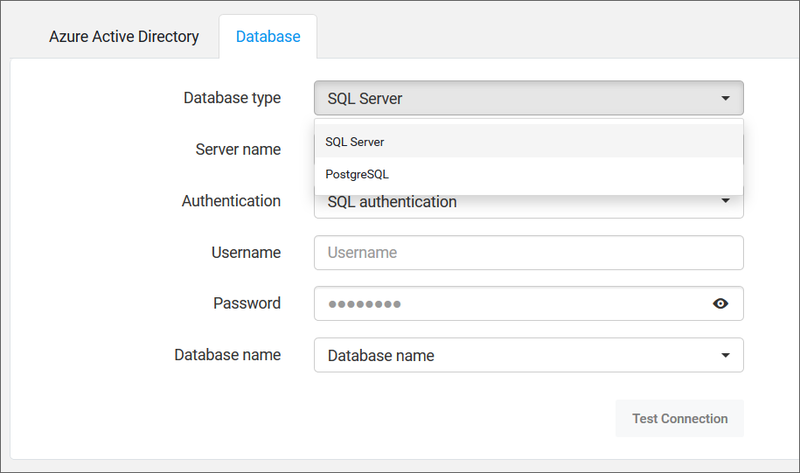 For SQL Server Database, fill the form with Server name, Authentication type, Username, Password and Database name. 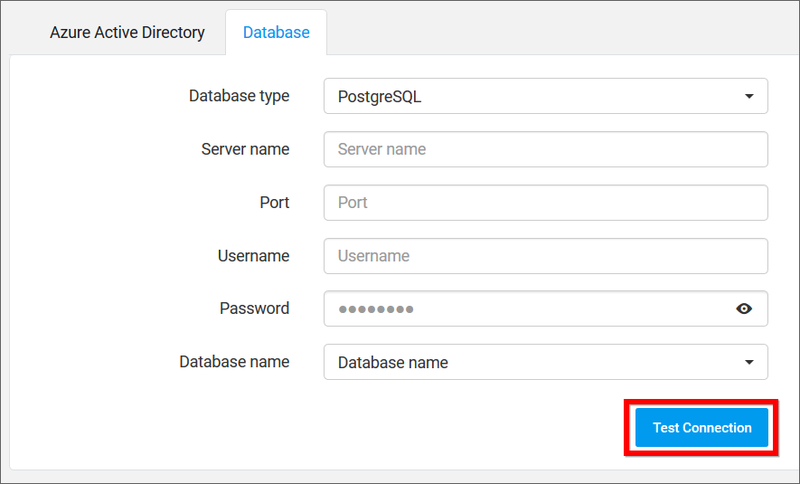 For PostgreSQL Database, fill the form with Server name, Port, Username, Password and Database name. Once the connection details are filled, click on ‘Next’ for getting schema of the provided database connection. The page will look like below once the database has been connected. 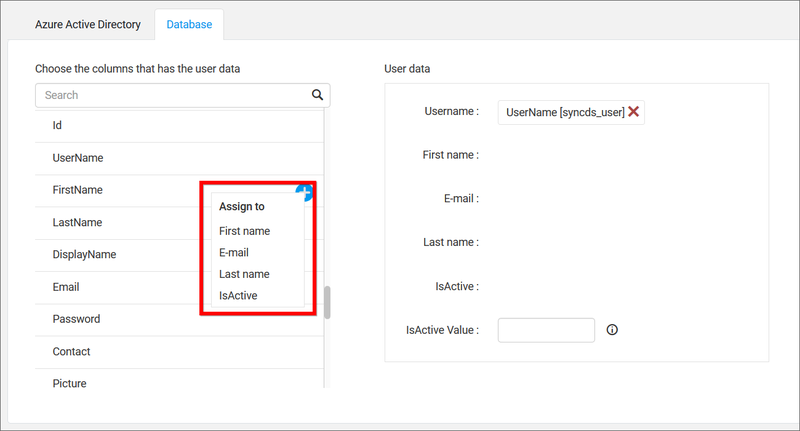 Select the matched columns from the database schema for Username, First name, Email address, Last name(Optional) and IsActive (Optional) fields. If the columns are selected from different tables, below scenarios will happen. If the tables have single relationship - The join will be made with the particular relationship. After selection of all columns, click on Save to save the database details. Based on this saved details it will pull the users from the configured Database. Also included the Back button in the settings page to edit the database details before complete mapping and saving the database configuration.